The image shown features six of the most popular movie and television cars of all time, which one would you want to drive? 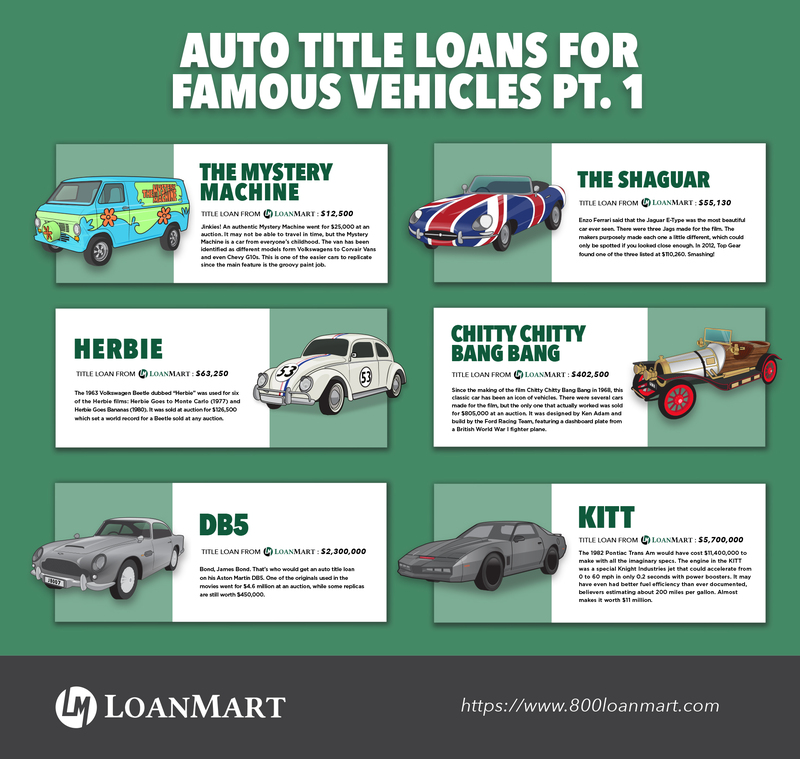 What kind of Car Title Loan would you get if you drove The Mystery Machine? What about James Bond’s Aston Martin DB5? It’s probably more than you would think!